Shep Cuts Off the New York Times! Video: Shep and The Judge on college football unions. 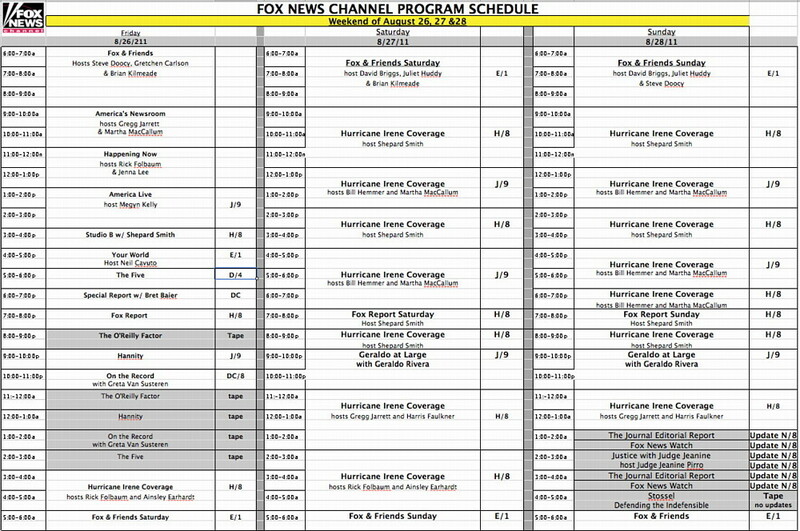 FNC Sundays: Bartiromo 10am; Housecall 12:30 pm. Troubling signs Erin Burnett may be on the way out. Moonlighting: CNN’s Ian Lee shows up on Al-Jazeera. Wemple: Bill O’Reilly ‘adores’ the term ‘race hustler’. New Pew: Cable news in decline, especially at MSNBC. Hayes: CNN and the crass commercialization of tragedy. Chemi: Why is CNN now the tragedy tv network? Money. Page: Plane-athon has turned MH370 into ‘news candy’. Chicagoland is a bust. Greta is sorry. What, this again? Palin ‘going Rogue’...for real. Geraldo’s ‘new show’. Video: Howard Kurtz on media’s Malaysia mistakes. CNN plans theatrical release of illegal immigrant doc. Bloggers foment controversy over one nlgja attendee. Sorkin writing drama pilot. Update boosts Chicagoland. Q&A: CNN’s Michelle Kosinski, Weather’s Sam Champion. Special Report video: Panel ponders separation of powers. O’Reilly to appear with Nassau Pops. Brown in, Brown out. The Five video: Funny is as funny does. Monday’s numbers: O’Reilly-Kelly-Bret Baier 1-2-3. Wemple: Does Enroll America owe FNC an apology? Weekend numbers: Media Buzz and Cashin’ In score. Craig Melvin’s merger pays a welcome dividend. Fox has concerns about Comcast merger. Today’s oops. Somerby: Sonny Hostin thinks everyone should be in jail! Video: Behind the scenes with Shep Smith. Profile: Huck. Q&A: Neil Cavuto, Melissa Harris-Perry. Stay classy, Mika. Factor video: Bernard Goldberg on the media’s IRS avoidance. Steinberg: CNN’s future...Lawyers, Lemon, and real life? Piers Morgan Live ends in three weeks; Tapper, Weir sub. Shep in Ukraine: shoe-leather reporting plus social media. Zucker punched: Chicagoland flops...even in Chicago! Somerby: Maddow’s dissembling ‘almost pathological’. Imus video: Bret Baier. Google hangout with Bret Baier. Crimea hotel threatens to throw CNN out. Q&A: Coop. CNBC axes Kudlow Report. Piers slot goes to...Bill Weir? Larry King sez of his RT show: I don’t work for RT (v/TVN). Keene: Chicagoland debut plays like ode to Rahm Emanuel. Moore: Chicagoland a disturbing but hopeful saga of the city. Melissa Harris-Perry shows her new baby and her natural hair. CNN skeds legal show w/Geragos. Smerconish debut set. Shep, Coop, et al report from Ukraine. Reliable rebounds. Johnson: Ronan Farrow, the young man only old people like. Mika B going through a bad spell. CNN’s Ukraine dilemma. Factor video: Bill O’Reilly with Bob Costas part one, part two. CNN and Allstate team up for ‘native’ ads. Weekend numbers. Ex-MSNBCer blasts ‘the place for utter ignorance’. Profile: Charlie Gasparino. Essence of MSNBC. Video: ‘There was no crime’ says Judge Napolitano. Fox News will ‘unequivocally defend’ James Rosen. Harsanyi: But we were told Fox wasn’t ‘real news’?! Video: Brit Hume blasts DoJ spying on James Rosen. Greenwald: Attack on the press escalates (via Twitchy). Obama admin targets FNC’s James Rosen in leak probe. MSNBC’s fast fade among pressing issues for Turness. CNN dropped by VTV over licensing flap. The brick look. The Five video: White House backing off tour shutdown threat? Bogus CNN chyron. Imus video: Mike Baker on Egypt, Korea, etc. Zucker’s Erin Burnett: Isn’t it worth it to support anti-Semitism?! Video: Shep’s comments on the Catholic Church stir controversy. Factor video: O’Reilly vs Colmes rematch over federal spending. Q&A: Shep (via ICN); Charlie Gasparino on ‘sticking it to CNBC’. Q&A: Soledad, Jake Tapper. Maddow in Houston. Olby settles. The Five video: Is hating America still the new world sport? Studio-B video: Shep interview of John McCain turns tense. Rachel Maddow gushes over a Fox News anchor. Flashback. Powers and Miller examine media fluster over drone filibuster. FTV: Burnett move to mornings dead…no, alive…no, still dead. Joy-less View revives Behar/CNN talk. Today’s overhyped scandal. The Five video: Was there a lie in the 2007 tape? Video: Newest FNC contributor makes on-air debut. Flashback. Phil Griffin: I want to steal Shepard Smith from Fox News! Q&A: Neil Cavuto, Bill O’Reilly, John Avlon, Lou drubs CNBC. Reese’s piece: September cable news ratings predict election? Somerby: Maddow’s weasel words, Harris-Perry’s bafflegab. Video: Mike Baker and Don Imus looking for clarity in Libya. Q3 numbers: Fox tops; program ranker. Spin: MSNBC, CNN, HLN. The Five video: Why are celebs silent on free speech violation? NY Times jumps on FNC car chase. FNC: ‘Severe human error’. Ex-Merrill-Lyncher reacts poorly to latest Gasparino scoops. Who are the missing women? 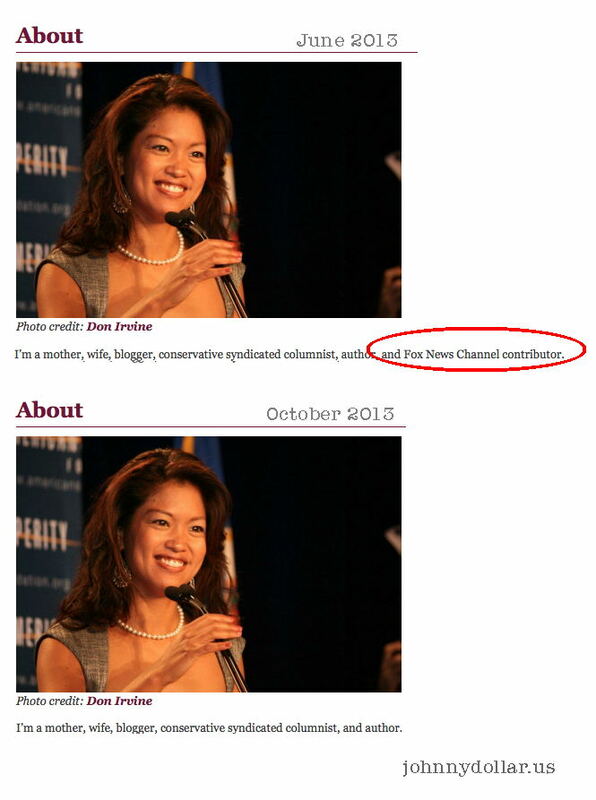 NBCNews.com trashes Fox News! FNC’s Clayton Morris wins prestigious city-wide competition. ICN: O’Donnell should apologize where false story occurred: on air. Did MSNBC distort Romney clip with false captions? Apparently, yes! Publius: CNBC ratings crash as FBN surges? Video Q&A: Shep. Video: Cavuto interviews Murdoch part one, part two, part three. Somerby: Dishonest Maddow could learn from Soledad O’Brien. Health care cable news confusion. FNC speaks. More. And more. Breaking The Cycle: ratings disaster, topped by 5:00 am F&F First. News Corp’s split decision. Gasparino another Pulitzer wannabe? Tuesday’s numbers: O’Reilly-Hannity-Baier 1-2-3. Q&A: Behar. Video: Shep ridicules CNN’s low-rated Casey Anthony ‘interview’. CNN cancels John King USA, replaces with...more Situation Room. Come see the softer side of Piers. CNBC and Yahoo team up. Somerby: FNC vs MSNBC face-off. Dana’s image-bending lingo. Flip, meet Flop: Big Ed condemns ‘Stop Rush’ campaign he promoted! The Five video: The Life of Julia. CNBC: today’s oops. CNN biz model a failure. Seven semi-bizarre ideas for CNN. News Corp inquiries: payback? Juan misses NPR. More. CNN vs MSNBC: Maddow’s mendacity, part quatre. Q&A: Liz Claman on travel and a Buffett/Gates exclusive. Fans erupt in frustration over CNN’s descent into irrelevancy. Shep’s bear-on-a-trampoline video: banned! Mole cashes in. The Five video: Is Romney making it easy for the media? Fishbowl DC kvetches about Politico ‘buttering up’ Fox News. Fox News: a decade on top. Politico: How FNC pulled it off. January program rankers. CNBC’s Kelly girl. Reena Ninan to ABC. Harris-Perry debut pushed back two weeks. Changes at CNNi. Q&A: Neil Cavuto, Jenna Lee, Bret Baier. Liz Claman in Davos. MSNBC produces another promo attacking the GOP. Flashback. Hollywood Reporter interview with a semi-snarky Shepard Smith. After MSNBC tags him (D), Herman Cain gets into tiff on Now w/Wagner. The Five video: Bob Beckel’s heated debate over Col West. Q&A: Shep Smith on FNC’s milestone and his own weight loss. Report: WSJ ‘darling’ Kelly Evans jumping to CNBC? Video: Kilmeade faces a Cuba missing crisis (h/t @MartyDavis). Q&A: Greg Gutfeld, Liz Claman, FNC’s Jeremy Steinberg. The incredible disappearing Shep Smith. Fox News rings the bell. An appropriate choice: subbing for Olbermann...Eliot Spitzer! Current wants to move next door to CNN and Fox News. Gore: There’ll be none of that ‘balance’ stuff on Current. Hot & Not: Suze Orman, Big Ed, CNN, MSNBC inciting violence, etc. Video: Judith Miller on media coverage of OWS. Congressman demands an apology from Greta. Q&A: Dennis Miller. O’Reilly’s trademark. MoJo in Westport. Video: Martha MacCallum talks to Don Imus about working at FNC. Shepard Smith engages the news. Burnett numbers hit bottom. Zurawik: Best coverage of Wall Street protests is from...Olbermann! Palin opts out of 2012 race; does she re-up with Fox, or go rogue? Greta debunks another purported Fox News ‘controversy’. H’wood Reporter Q&A: Maddow. Caruso-Cabrera goes international. Lean Forward: Impartial MSNBC journalist anchors from protests! Ten cablers from MSNBCNN make Root 100; not on list: Juan Williams, Harris Faulkner, Lauren Green, Wendell Goler, Kelly Wright, anyone on FNC. CNN signs Maria Cardona, David Frum. Coop targets bullying. Video: Andy Levy fact-checks the Hank Williams Jr controversy. 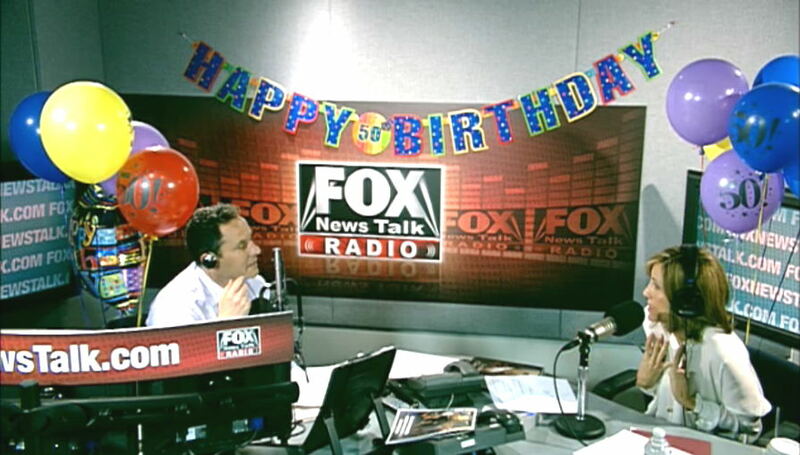 Roger Ailes and Shep Smith look back at 15 years of Fox News. Neil Cavuto talks FNC, MS, and more. Bloomberg’s economic debate. Carpe Diem: Will The Five be around longer than expected? September numbers: FNC holds top 16 programs; The Five grows. September spin: MSNBC, CNN. Q3 spin: CNN, HLN, MSNBC. Bill O’Reilly videos: Imus in the Morning part one, part two; Fox & Friends; Good Morning America part one, part two. Lean Forward: MSNBC’s Ed Schultz fundraises for Democrats. John King: changing of the guard. Weekend numbers. Is MSNBC sinking into third place? Maybe, or maybe not. CNN debate may exclude Huntsman. Q&A: Erin Burnett. FNC 15th celebration: Shepard Smith is live in Las Vegas. VIdeo: Peter Johnson Jr on honoring the legacy of 9/11 victims. VIdeo: Fox News Watch on media coverage of Obama’s speech. Video: September 11 2001 as it happened. CNN reporters attacked by Cairo mob. Chuck Todd, Andrea Mitchell now leaning. Don Lemon wants to be a baby daddy. Coop’s crib. Sunday talkers: preview, tip sheet. The gaffe that won’t die. 9/11 reflections: Jennifer Griffin, Rick Folbaum, Wolf Blitzer, Shepard Smith, Jane Velez-Mitchell, Soledad O’Brien, The FIve. Saturday: Cavuto live at Ground Zero. Sunday: Weekday anchors on FNC. MSNBC simulcast with NBC. Coop, Crowley helm CNN global simulcast. Friday’s numbers: Juan Williams-Chris Wallace-Harris Faulker 1-2-3. 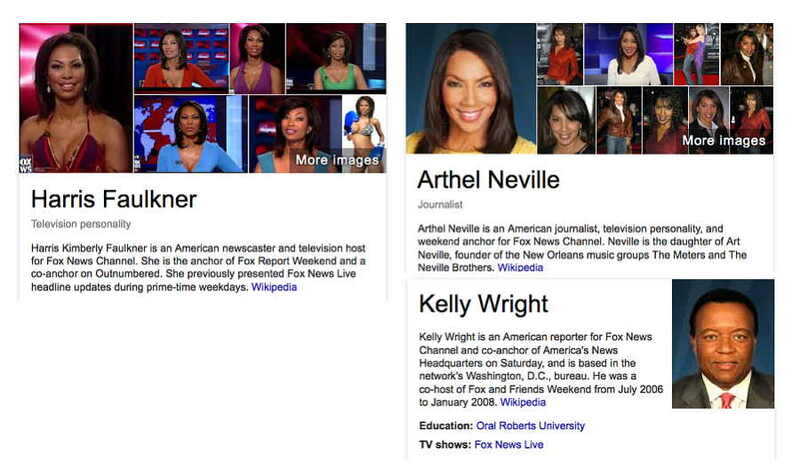 Two of the top three programs: anchored by Fox News African-American journalists. Video: Jeff Flock takes a direct hit from Hurricane Irene. Nancy Grace trips the light fantastic. Maddow in Cummington. Salon: The worst hurricane Irene coverage was from...guess who?! Profile: The Rev Al. Q&A: The Root, Eric Deggans. NPR: Sharpton hire part of a larger trend. Washington: He’s cable catnip. Shep Smith remembers 9/11. Bauder: Irene attracts media big guns. Lemon’s iPhones. FBN live at 5:00 am; F&F Monday extra hour. Hot & Not: Sharpton, Childers, Irene, Herridge, Gawker, Contessa etc. Monday’s numbers: Laura-Hannity-Baier 1-2-3. FNC #2 in all cable. Schultz and MSNBC use special Ed-it to falsify Perry speech. Video: Bill O’Reilly with Imus on Elvis and Iowa, part one, part two. The Rise of Freedom e-book to feature exclusive WTC footage. Video: Bias Bash on theological campaigns, jobs in Texas, etc. The truth about Fox News. Lemon provokes second incident? Rick Sanchez resurfaces. Video: Ali Velshi with Jon Stewart. O’Donnell goes on leave. Biznet ad wars. Weekend numbers. Video: Bernard Goldberg on uncomfortable questions for Bachmann. Zurawik: Revised CNN lineup impressive. ICN: A losing gamble? CNN dumps Spitzer, adds Burnett, moves Coop to 8:00 pm. Reese’s piece: HLN surge is the triumph of sleaze. VIdeo: A horrified Shep reacts to the tragedy of Caylee Anthony. Video: Bias Bash on media malpractice covering legal cases. Video: Peter Johnson Jr rips ‘vigilante host’ Nancy Grace. Grace snags 2.8M, HLN peaks at 5.2M viewers. CNBC’s scoop. Q&A: Velez-Mitchell, Nancy Grace, Ken Jautz. Weekend numbers. What took Twitter so long to deal with the Fox account hack? Friedman: Another portrait to hang on MSNBC’s Wall of Shame. Jamie Colby to go on jury duty...with Jackie Mason! Video: Bernard Goldberg excoriates the media’s Anthony frenzy. Liz Claman’s guide to L.A. Coop: I’m not the new Oprah. Shep Smith responds to NY Times and Bill Keller. Hardball in Philly. Guthrie sign-off simulcast on NBC. Friday: Baier extra hour at 5:00 pm, special at 10:00 pm. CNN debate line-up set: Huntsman a no-show. The secret Fox conspiracy to sabotage Sarah Palin! Video: Debater is interrupted, but when given the floor walks out! Video: Bias Bash on DSK, Paul Ryan, and more. Imus videos: O’Reilly part one, part two; Chris Wallace. Video: Ed’s sorry. One-week suspension more like three days. Zurawik: Why let Schultz set his own punishment? VIdeo: Dr Ablow offers counseling. Prof Shep Smith. Burnett in, King out...or not? CNN/Nokia deal. Lean Forward: Coming soon to a snooty art house near you. Tuesday’s numbers: Bill-Hannity-Baier 1-2-3. Piers plunges. Video: Breitbart and Bashir bicker on MSNBC. Video flashback: Shep interviews journalist killed in Libya. CNN sues Haiti Live Networks for calling themselves ‘HLN’. Q&A: Andrea Mitchell, Lori Rothman (via TVN); Eric Bolling. Profile: Juan Williams. Matthews at Daemen. Kiran caught. Video: Sanjay Gupta with Conan. CNN releases android app. Monday’s numbers: Bill-Baier-Beck 1-2-3. Weekend numbers. Video: Bill O’Reilly w/Don Imus part one, part two. Why is Thomas Roberts doing a bit on 30 Rock? Q&A: CNN’s Jim Walton (via TVN). Juan Williams to receive Freedom of Speech award. Video: Bernard Goldberg w/O’Reilly on Trump’s run. Couric replacement specularama: John Roberts, Coop, Shep? Surprise! 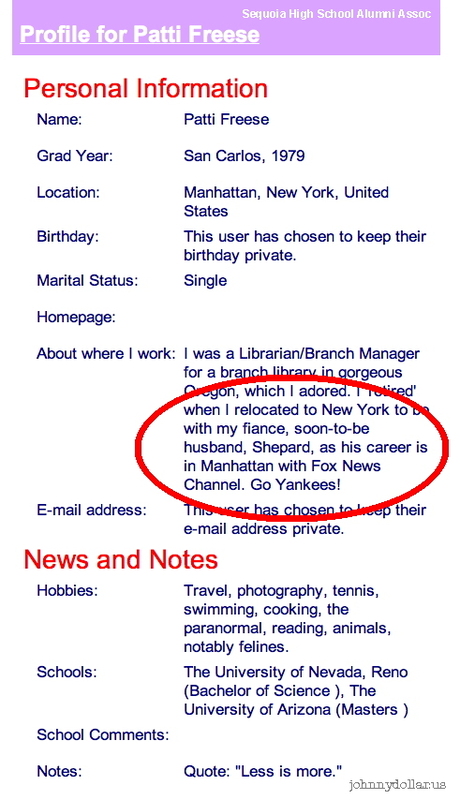 ‘Juliete’ Huddy suddenly gets a bio page. Piers’s secret, ‘must-watch’ guest is...Larry King! ICN scoffs. Soros, Fox News, and Nazis: today’s question (via TCG). Shep ‘bear alerts’ continue to stir controversy. Video: Bias Bash on Al-Jazeera fomenting revolution. Profile: Lori Rothman. Q&A: Kiran Chetry. The ‘brains’ behind MSNBC’s brand. Greta tapped for Civility Institute board. Stuever: Matthews Clinton hour a superficial mash-note. Video: Leland Vittert in Tahrir Square. Even CNN doesn’t watch Park & Spit? Q&A: Piers wants to interview Palin. Video: Shep Smith w/Don Imus part one, part two. A night with Piers Morgan and The Donald. While FNC dominates, Egypt an opportunity for CNN. Video: Freedom Fighters on Egypt, wifi, and more. Greta’s Haiti special airs tonight. Spend New Year’s Eve with Rick Sanchez! Video: Leventhal in Afghanistan w/David Asman’s son. Shep interview stirs Mediaite controversy. Video: Shep in heaven...a car chase! Swells swarm to Geist get-together. Q&A: Jeff Bewkes (via CB); Roger Ailes part deux, more. Video: Peter Johnson Jr vs Coulter on TSA screenings. ICN: Anonymous makes specious MSNBC complaint. US Senator wants to shut down Fox News...and MSNBC! Monday’s numbers: Bill-Bret-Beck 1-2-3. October numbers: FNC still dominates. Program ranker. MSNBC gains, Olby slips. HLN falls. CNBC sinks; Kudlow crashes. Park & Spit a dud. Coop only CNNer to gain. Weekend numbers. Video: Shep and panel with three races to watch tonight. Imus video: Bill O’Reilly on midterms, Jon Stewart. Olbermann vs the truth: Christie, ‘cocky’, and Kilmeade. Why the Fox boycott is doomed to failure. MSNBC recruits distinguished journalist for 3:00 pm slot. Zurawik: MSNBC’s lack of standards, Olby’s ‘delusional self-importance’. Video: Shep’s behind-the-scenes tour at Fox. CNN debuts its own take-off of MSNBC ads. Olby drops ‘worst persons’ attacks...for now. More. Q&A: Ken Jautz (via ICN), Lawrence O’Donnell, Klein. The Fox primary: contracts complicate coverage. Greta reax. Poll: FNCers influential, MSNBCers largely unknown. Hot & Not: Klein, Capus, Scarborough, etc. WND claims credit for FNC’s A-jad interview?!? Mike Jerrick reviews Fox & Friends Weekend history. State Dept panic when MSNBC channel shows FNC. Thursday’s numbers: Bill-Hannity-Bret 1-2-3. Site stats. Bob Woodward intervenes, Greta Q&A back on. Geraldo: Colbert ‘brilliant’. Wallace: not a shining moment. A-jad cancels on Shep, talks to Eric Shawn: video. Zucker leaves NBC. Biznets cover. Gasparino: it’s all-out war? ICN: Just the tip of the iceberg. Don’t cry for Jeff. CNN fires Jon Klein; Jautz takes over. Analysis: Zurawik, Friedman, Greta. ICN: Why now? Klein: I got shot! (via ICN). CNN seeks new editor. Larry King wants to appear on SNL. CNN announces Jiabao interview, ten Heroes finalists. Wednesday’s numbers: Bill-Hannity-Beck 1-2-3. A Stewart bump? Video: Kilmeade moves with the NY Jets Flight Crew. Reading is fundamental: Greta cancels Bob Woodward; more. Must-see tv? Shep to interview Ahmadinejad. Ex-Bloomberger Lori Rothman debuts on FBN. Fox News Sunday holds Conway/Paul debate. Surprise: VP Biden on premiere of MSNBC show. Latest filing in Carnahan ad flap. Uncut: O’Reilly/Stewart part one, two. Behind the scenes. Shep interviews O’Reilly on his book, Jon Stewart, etc. Stossel special slated for Saturday. Even Rick Sanchez watches Fox News. 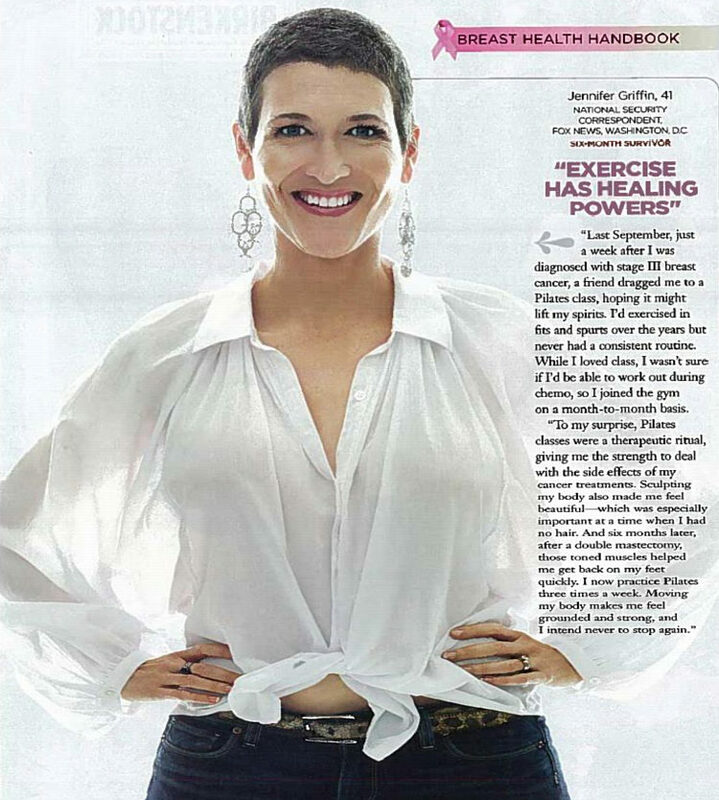 Shape Magazine profile: Jennifer Griffin. Q&A: Liz MacDonald, Gerri Willis, Aaron Brown, Joe. Anti-O’Reilly gadfly loses suit, stays fired. Cablers cavort in Wall Street sequel.